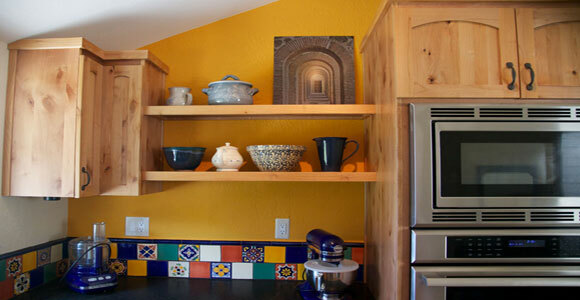 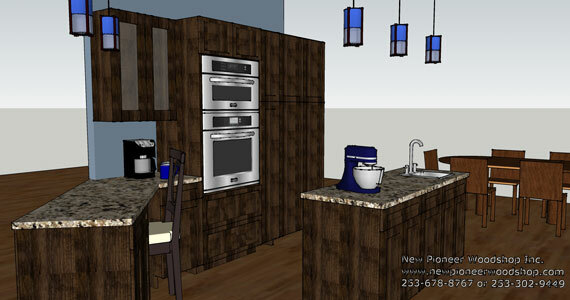 Design professionals like New Pioneer Woodshop do more than home remodeling and additions. 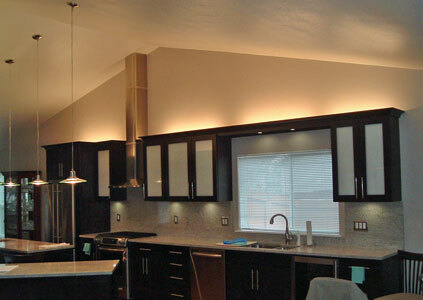 Even the beautifully crafted cabinets, mantels and built-ins that we create are not the extent of our talents. 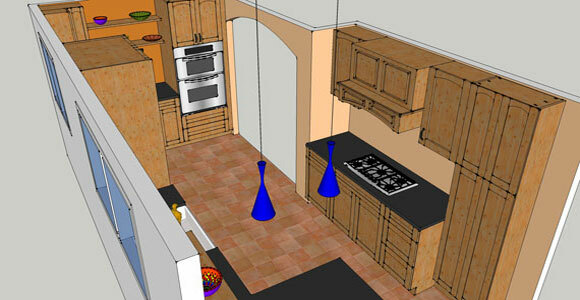 One of the most important services that we provide to clients is our superb design skills. 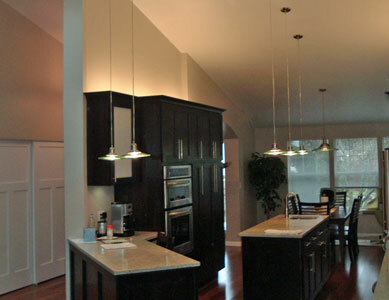 We create quality designs, whether we remodel your complete home, add an additional room or build a fireplace or mantel. 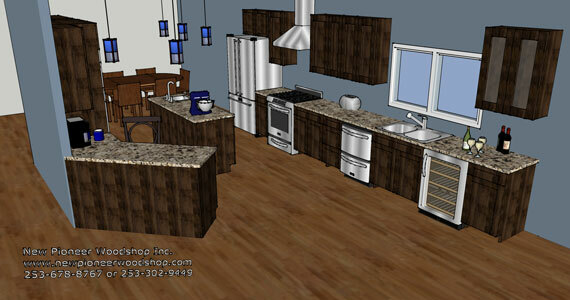 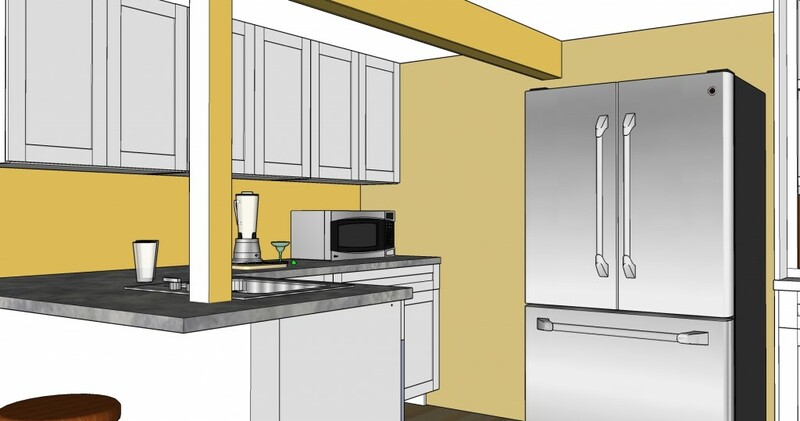 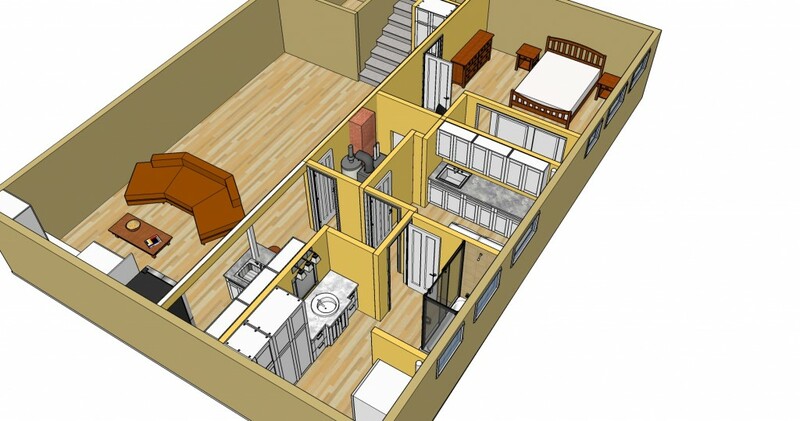 The planning is perhaps the most important pert of the remodeling process, and often the most exciting. 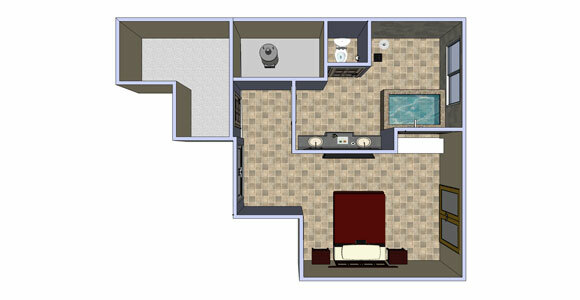 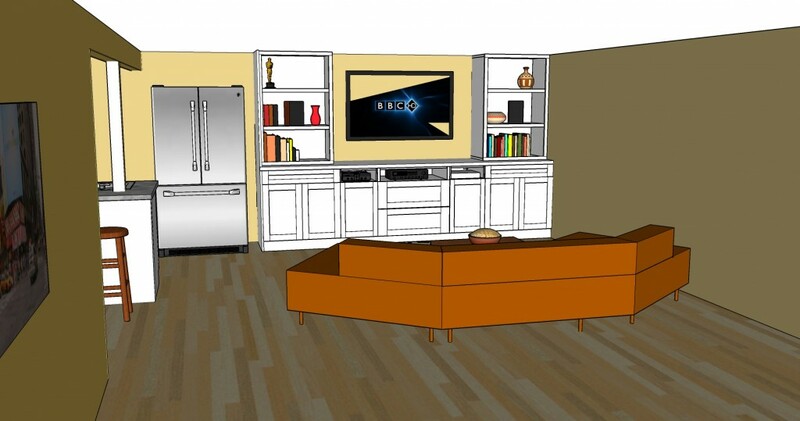 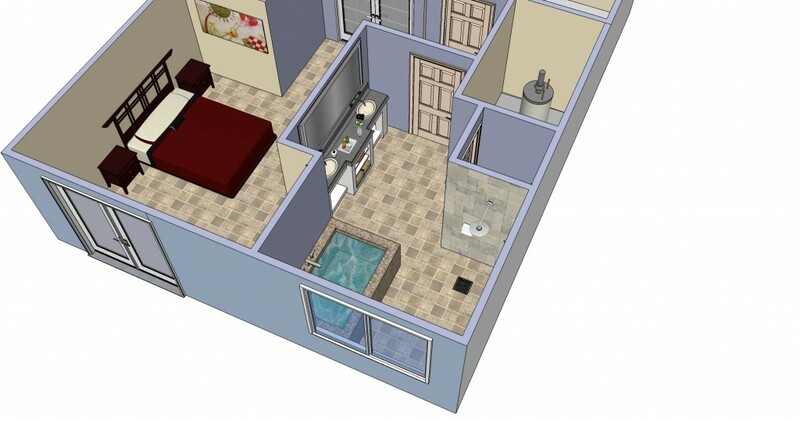 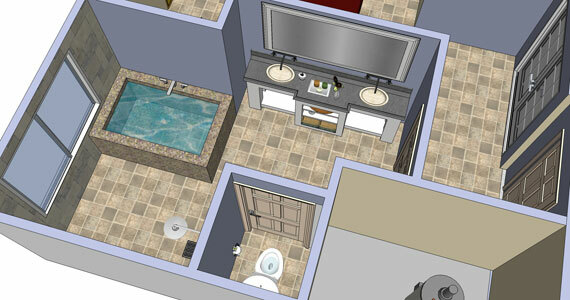 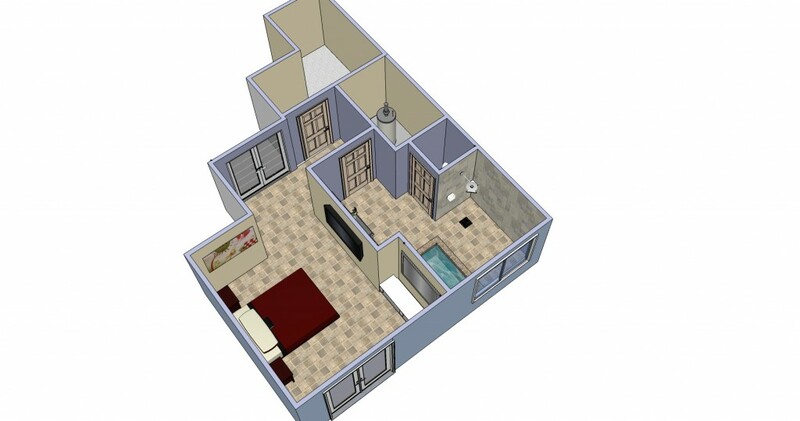 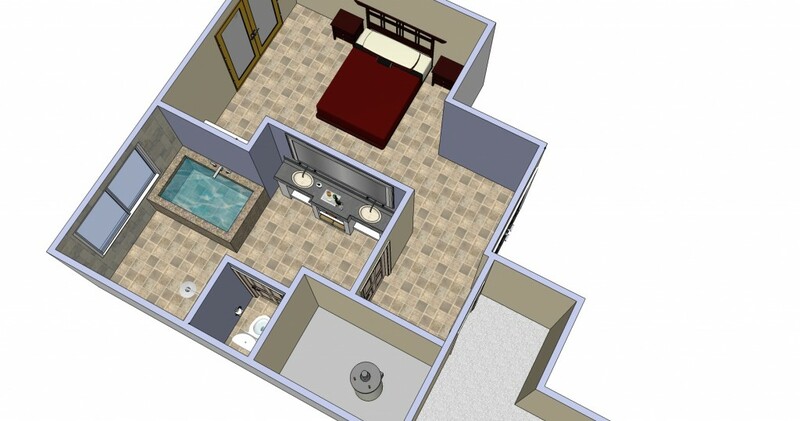 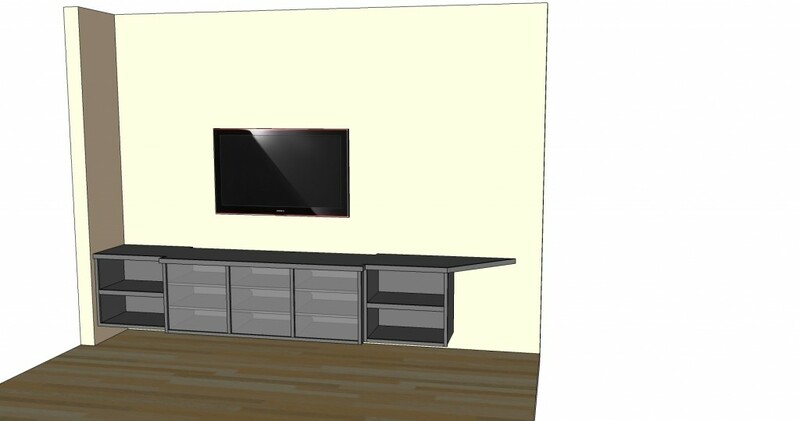 We can help you to visualize your new space and maybe come up with some surprising options. 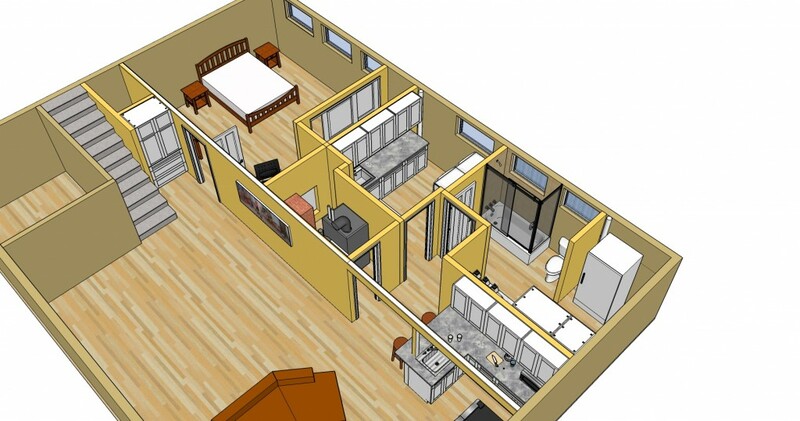 A combination of pencil drawing, computer modelling, and a great deal of listening is the foundation for great design solutions for your project. 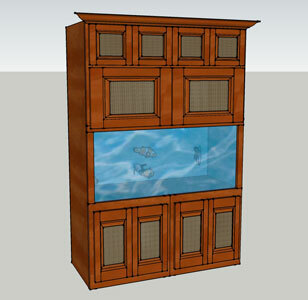 Here you can see an example of the design and the final build. 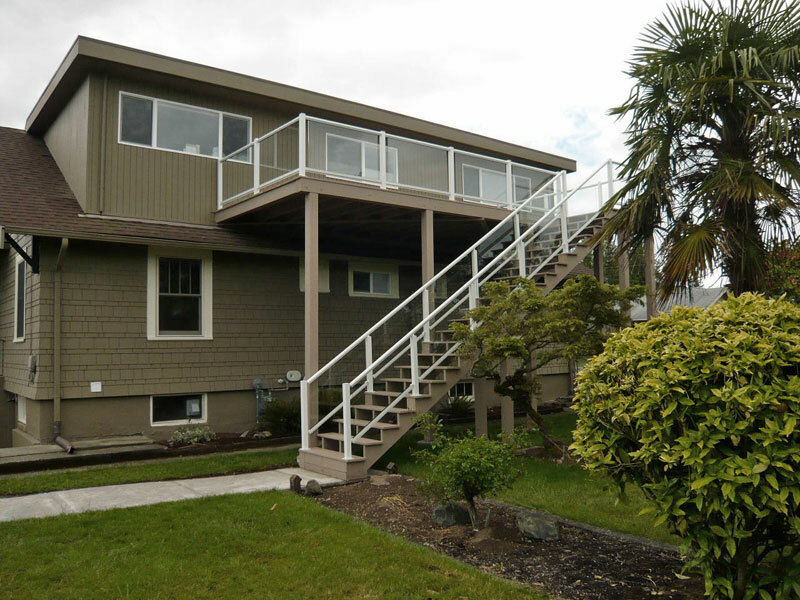 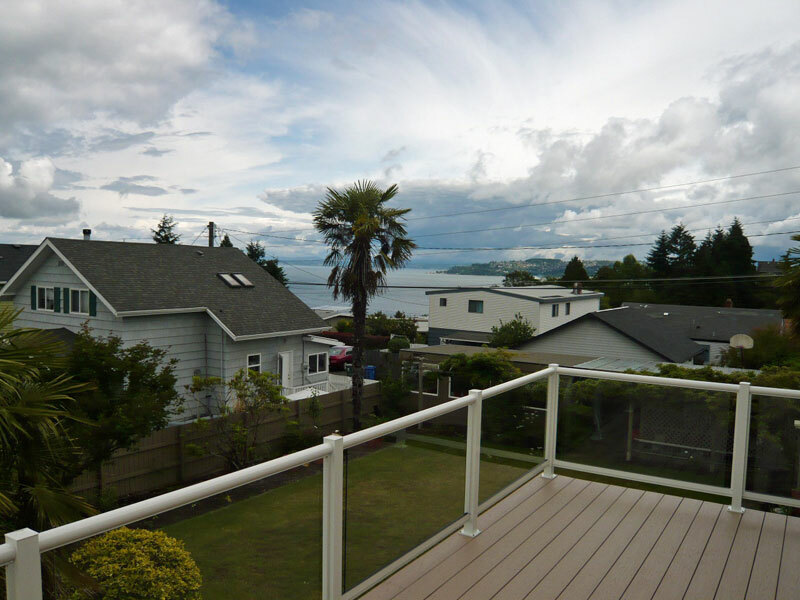 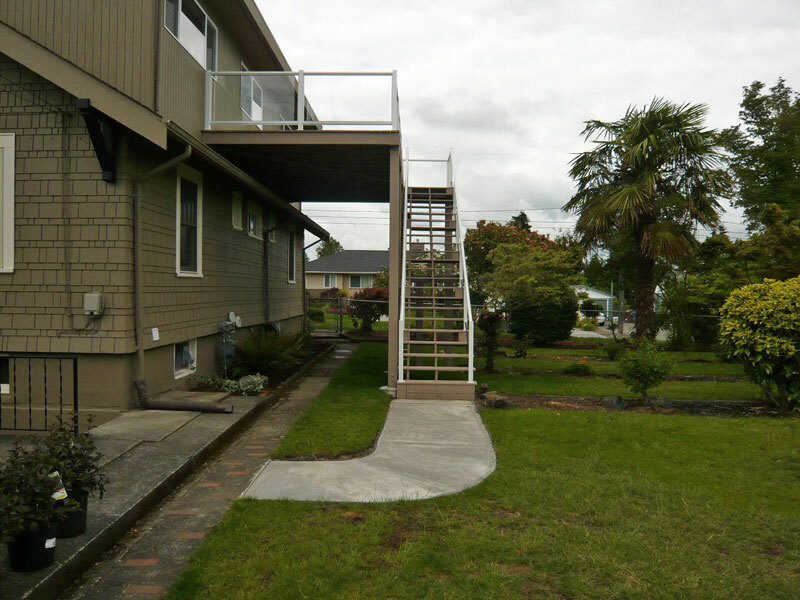 This home on the North end of Tacoma was just waiting for a deck in the sky to take advantage of a beautiful view of Commencement Bay. 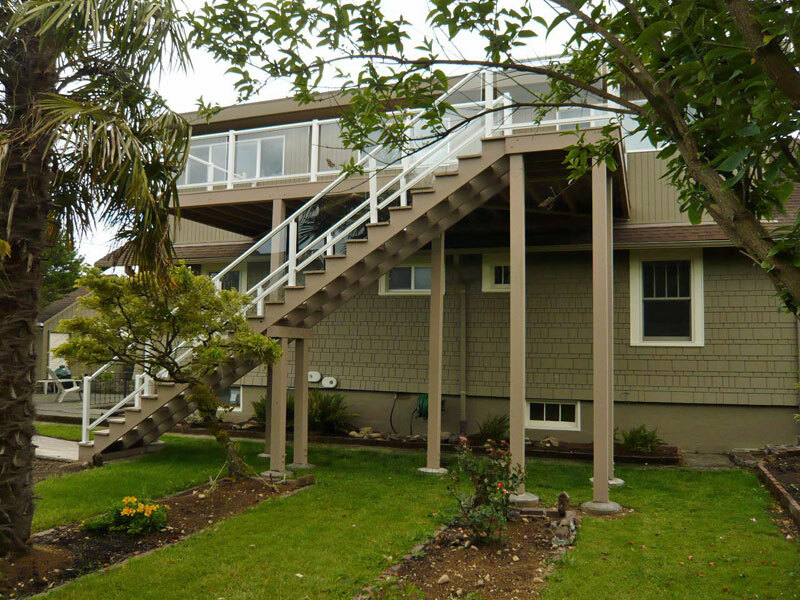 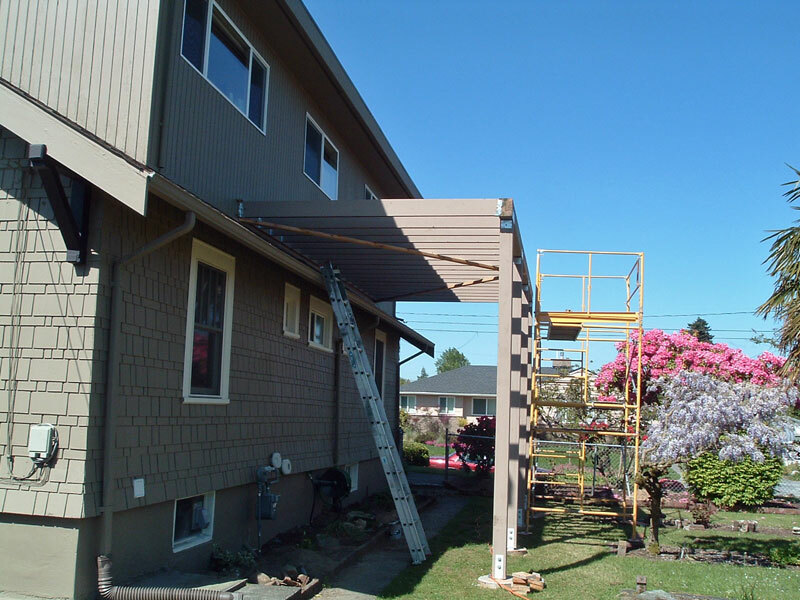 This deck was built almost 15 feet in the air and provided a challenge. 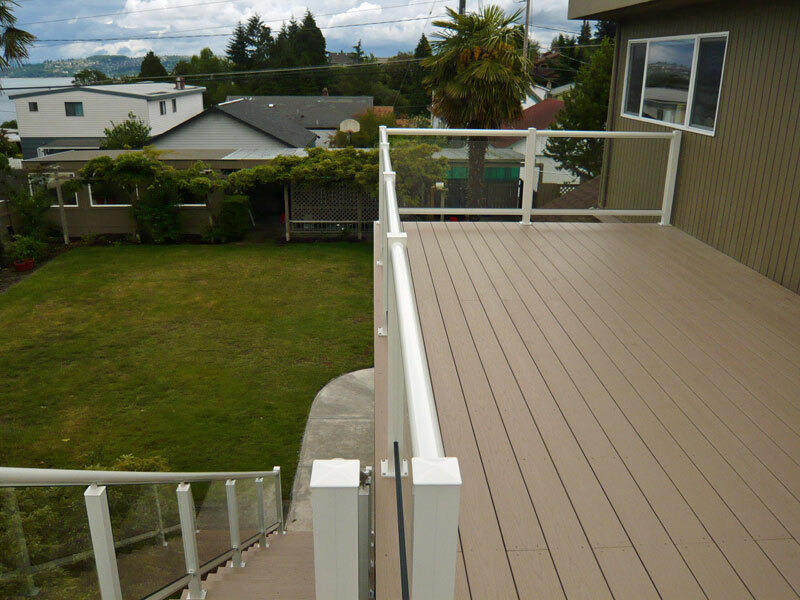 The decking material was AZEK a high quality weather resistant PVC. 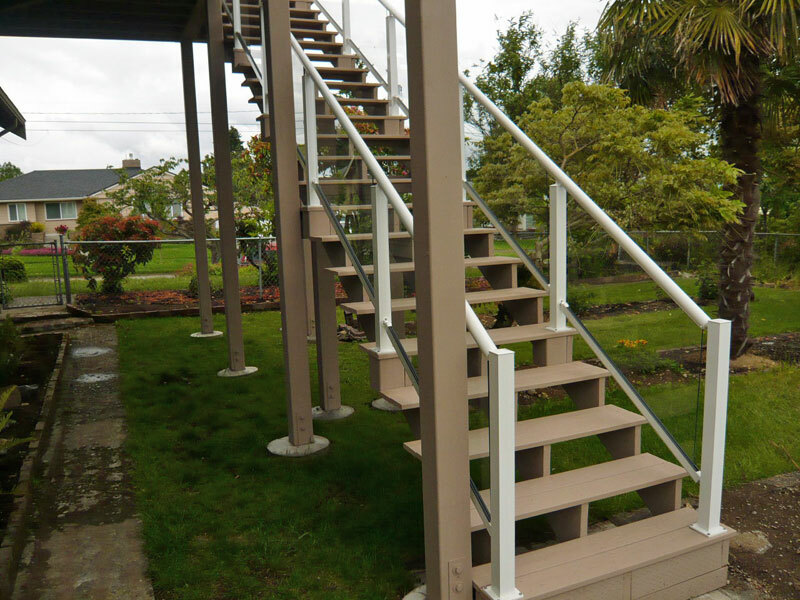 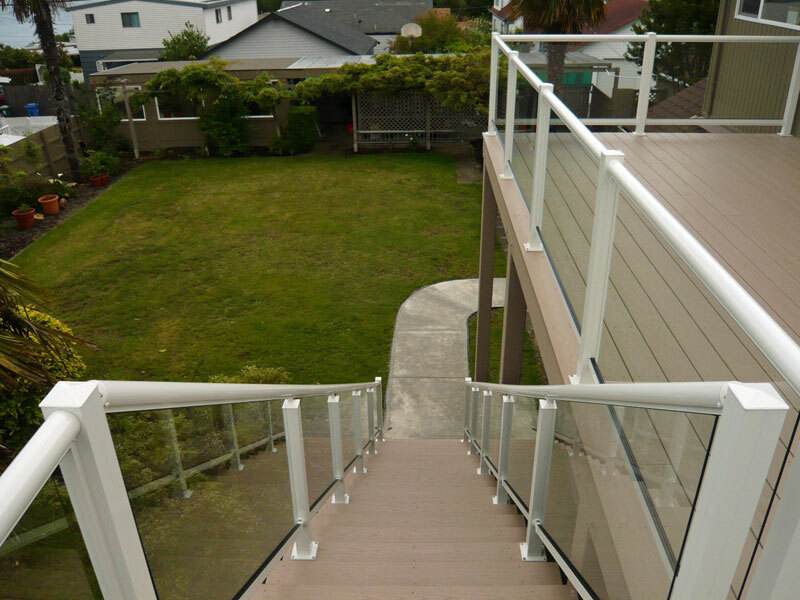 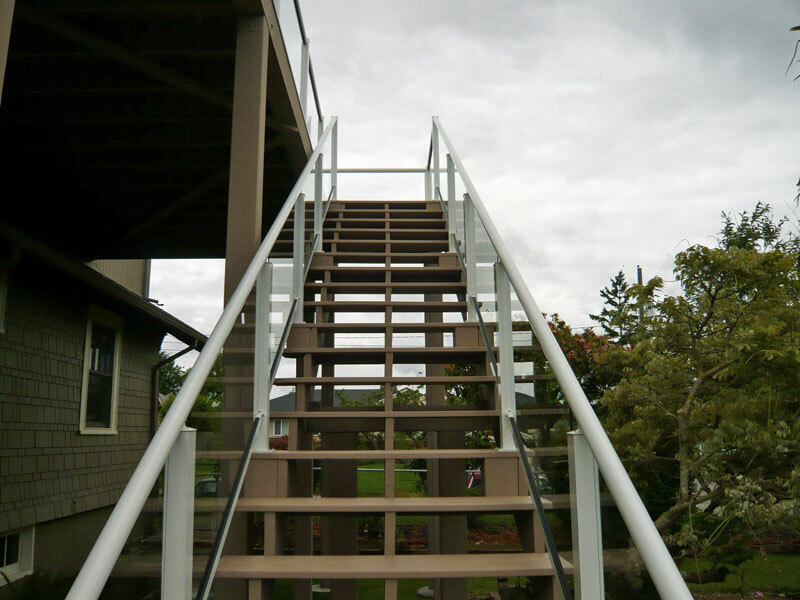 The Railing was of a tempered glass and aluminum construction. 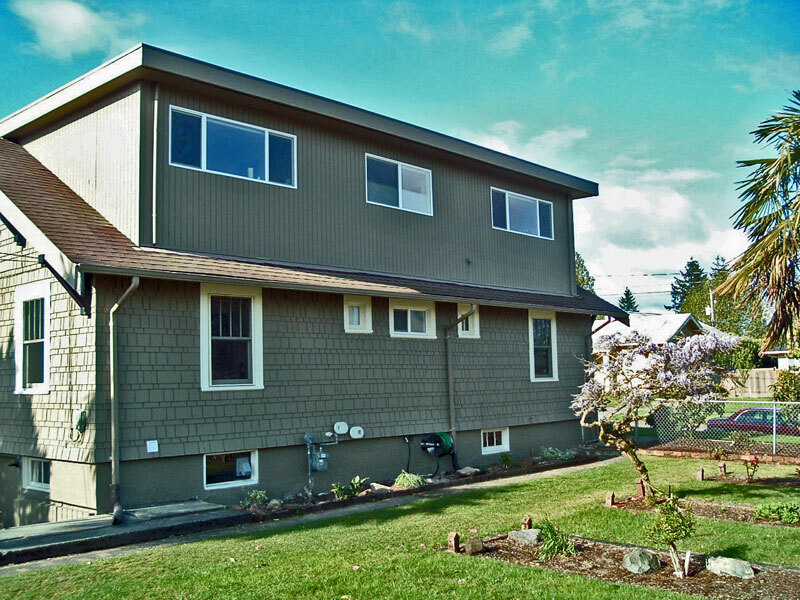 A great addition to this splendid old North end home.